Adding a fence like a wrought iron fence is a good idea for keeping your property private. 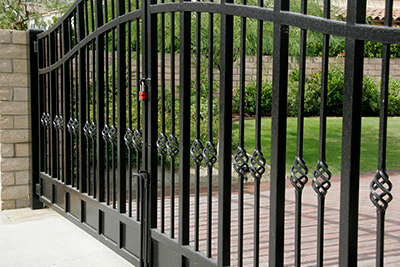 Our driveway gate company in Puyallup can help you to find the perfect wrought iron fence. There is always a contractor to take care of your 24/7 emergency repair and install services. Our brand name driveway wrought iron fence company has become synonymous to the product name, which is none other than Wrought Iron Fence Company. All that you have to do in Puyallup when you are need of our services is just call us. At our wrought iron fence company in Puyallup we are proud of the work that we do on wrought iron fences. We have several designs of these fences that you can choose from. If we have that you like we can bring it to your property and install it for you. If the wrought iron fences that we have are not catching your eyes then we can even customize these fences for you. This means we will let you choose how you want the fence to look. We are 2nd generation iron workers and we are proud of the work we do with iron. We can make your wrought iron fence look like one out of your dreams. Some of the other products we can make with iron are: railings, Doors/gates, Retaining walls, Pipe corals, Cages, Dog runs, Guards and railings, Security doors and Window guards. If you are interested in any of these items just let us know and we can help you in those areas too. Call our wrought iron fences company in Puyallup and let’s get started with your fence today. 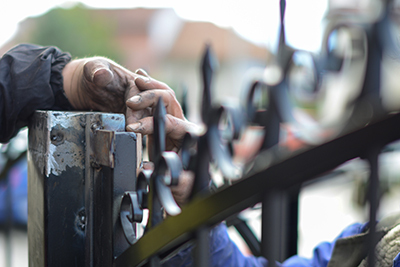 If iron fences are what you seek then the best place to ask for them is none other than the drivewaygates company that is located in Puyallup. Not just do we install new fences but we also help yousupply and repair these fences and also their parts. This fence requirement might be for domestic purpose or for commercial purpose and we are privileged to help you out with both your household and commercial fence needs. We also help you in ornamental work for these fences and you can do this with the help of our fence contractor. We also help in the supply of block pillars for fence andpicket fence. Our wrought iron fences company in Puyallup is a company that you can trust will always give you the highest quality of work in any service that we do. Please pick up the phone and call us today and we will send a fence/gate contractor out to visit with you. They will take the time and assess the situation. They will listen to you and make suggestions. Then they will write up a free estimate. We will then allow you the time to decide if it is us that you want to do the service for you. We are confident that you will choose us because we give the highest quality of work with the best prices.